Yesterday, the six of us helped out at another competition. But this time, instead of being referees, we were technical judges for the Lakes Division. 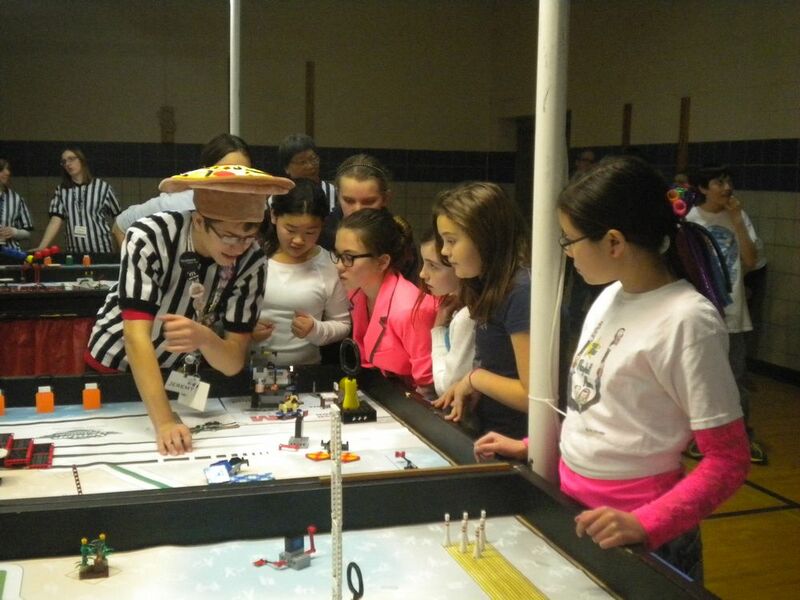 It was a lot of fun seeing other teams’ robots and taking looks at their programming. We also gave out quite a few friendly tips to help the teams in competition. The majority of the teams were rookies, which we thought was great. After all, they’re the ones that go on to learn new things and help others in the future. Most of them were all-girls teams, too; that surprised us. 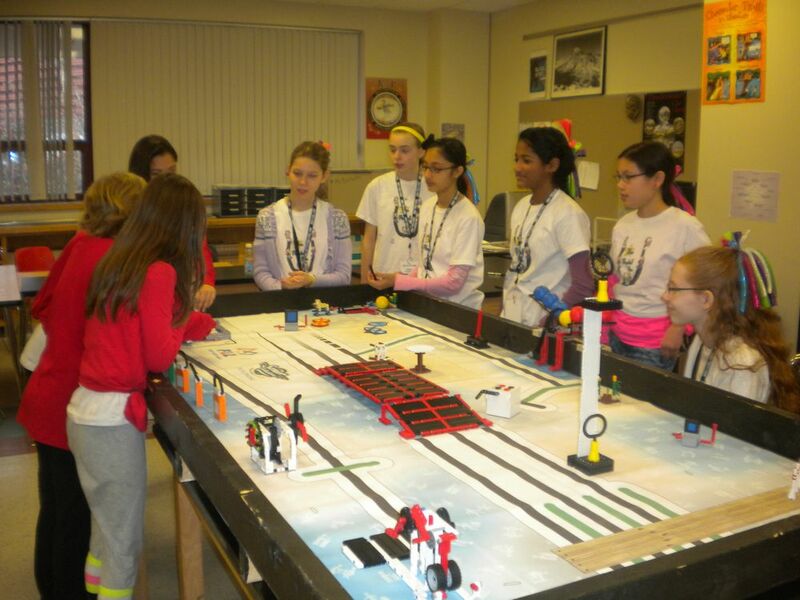 But it also made us really excited to see that Lego League wasn’t just us and a bunch of boys. After we finished judging all of our teams, it was time for the head-to-head competition. We went and helped out in the gym, running scores and resetting tables like we did when we were referees. We also got to see some of the teams we judged compete on the table. Another team, and FTC team, volunteered as refs and judges today. They’re called the Fish in the Boat and they’re awesome! They all had green hats and were really nice to us. I had a lot of fun today, and I think the rest of the Posse did too!